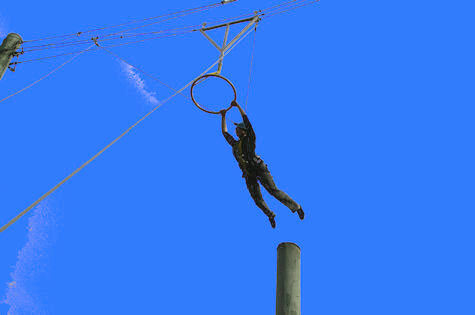 The Leap of Faith provides a great opportunity to challenge and encourage individuals through personal achievement. 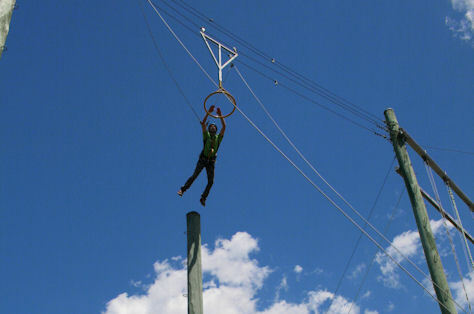 Participants first climb up a pole and stand on the leap platform. After a short pause the participant leaps off the platform and attempts to grab the ring that dangles precariously in front of them. Our professional instructors will help encourage participants to break personal barriers of fear within an environment of heightened encouragement from onlookers. Professional instructors facilitate your session and will set you up with your harnesses, helmets and safety lines. Participants climb in a controlled environment using industry approved techniques.